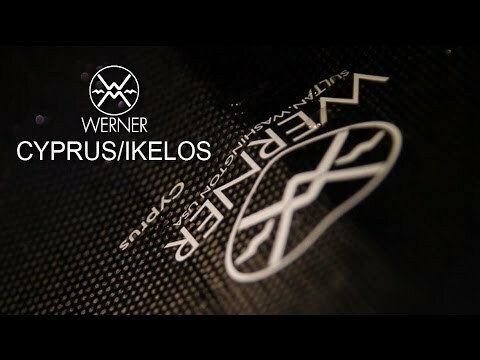 The Werner Cyprus Carbon Kayak Paddle is Werner's most popular Performance Core high angle blade design kayak paddle. 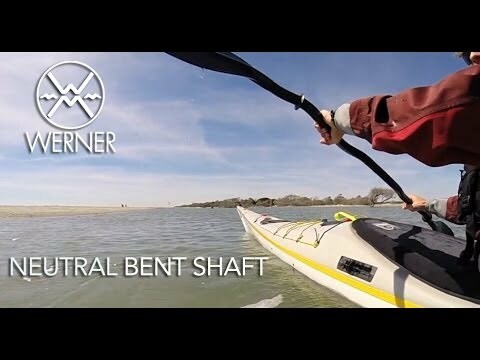 The mid-size performance core blades fit a wide range of kayakers and are versatile to use during advanced maneuvers or all around touring. The all-carbon shaft is ergonomically contoured for maximum comfort for long excursions. Werner's Smart-View Adjustable Ferrule System makes feathering adjustments a breeze. I bought this paddle for my sea kayak. I live in Greece and sea is most of the times waviness here where i live. I can't describe how awesome is this paddle. It's so lightweight, gives me the best balance and i can paddle 5 times more in distance compared my old plastic- aluminium paddle. It's like i had a Lada and now i have a ferrari. Deserves every penny and you get exactly what you pay for! I don't feel very qualified to comment on this paddle since I'm relatively new to kayaking. With that said, I'm using it with a WS 155 Zephyr, the paddle is light, efficient, and a pleasure to use. As soon as I felt this paddle I felt perfection. Lightweight and the feathering is easy to change when the water dictates something different. The best shaft alligns the hands perfectly. Although a bit pricey you get what you pay for. A: The longest version of the Cyprus bent shaft is 220. If you wish to order a longer size, we can certainly special order this. I encourage you to contact us about this and other options at customer@ack.com or 888-828-3828.